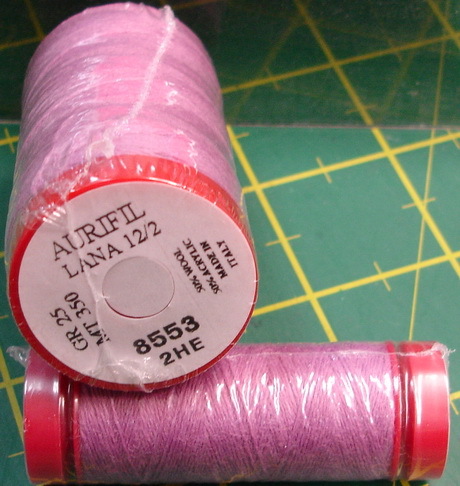 Watch these pages for updates about the Aurifil thread range. Go to the thread pages listed on the left hand side bar to read more information about the individual thread products in the Aurifil range. 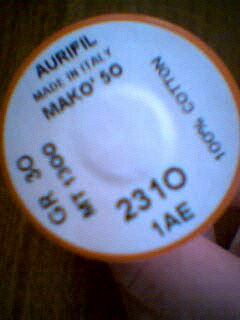 Aurifil was founded as a family business in Milan, Italy, in 1983. The original aim was to offer the professional embroiderer a wide range of threads suitable for multi-head, high-speed embroidery machines. 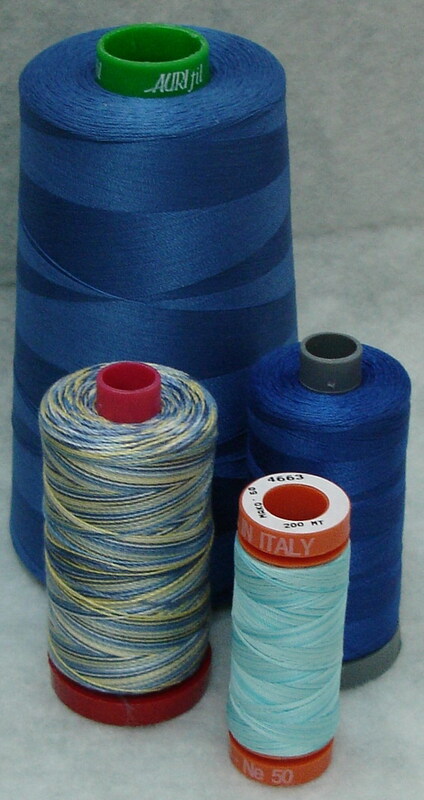 It is available in 2 spool sizes, plus cones, and is a mercerised cotton thread that performs extremely well in a variety of uses – hand sewing and quilting, machine sewing and quilting and all brands of long and short arm quilting machines. It is also ideal for detailed machine embroidery. Perfect for hand and machine appliqué. This fine strong thread results in flat seams when foundation piecing. It produces a subtle effect when used as a quilting thread and is ideal for embroidery, thread painting and machine, bobbin & needle lace making. green spool holder Extremely versatile thread for general sewing, patchwork piecing, machine quilting, machine embroidery and appliqué. grey spool holder Ideal when a more defined machine quilting stitch is desired. Also suitable for top stitching & blanket stitching by machine. Large spools of Lana hold 350 metres & small spools have 50 metres. 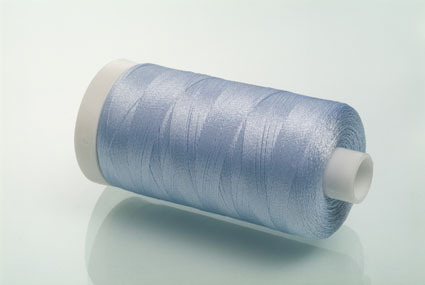 It is a strong, textured thread, which is suitable for machine or hand embroidery. Ideal for folk art appliqué designs and any other wool projects where you want the embellishment to match the fabric. 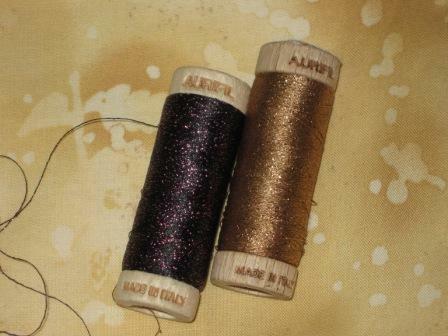 It is available in 192 colours including 12 variegated & 12 flecked / tweed colours on 350 metre spools. It is an Ne 12 thread weight and is also supplied on a red spool base, the same as the Cotton Mako’ Ne 12. However it is very simple to visually distinguish between the 2 threads. This is a beautiful thread possessing all the brilliance of the best rayon, with the benefit of a satin finish, endowed with extra ordinary depth and luminosity of colour. It is suitable for both embroidery & quilting. Aurilux is available in 216 beautiful colours including 36 variegated colours and is a 36 weight thread supplied on an 1100 metre spool. On standard spools the base can be gently twist to release thread for stitching then tightened when ready to lock thread for storage. 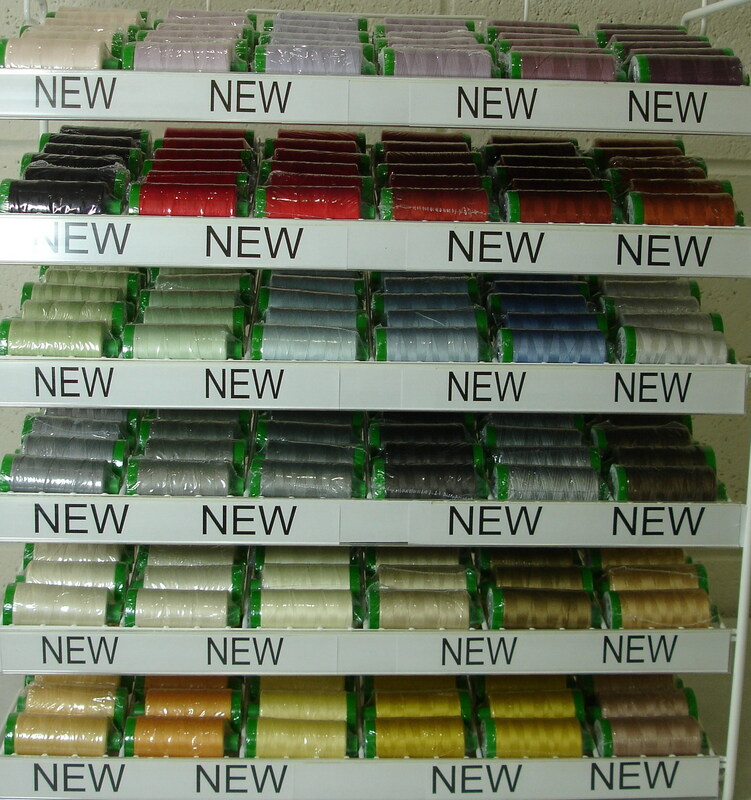 Visit the Always Quilting Online Store to read even more about the various thread weights or to purchase spools for your next project.